The mystery behind a corpse discovered in Silva Lane in Rajagiriya has been solved. 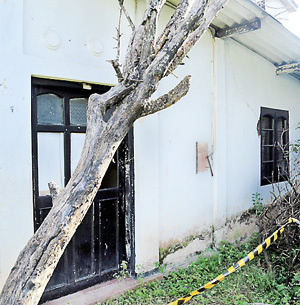 Investigations carried out by the Department of Forensic Medicine of the Colombo University have revealed that the skeletal remains were that of 55-year-old B. Sugath Kuru, who was residing in the house in which the corpse was discovered, the Welikada police said. The skeletal remains were first discovered by the sister of the deceased who went to his residence as she had not been seen him for some months. She had first knocked on the door and as there was no answer had peeped in through an open window. She was shocked to see the skeletal remains of a person lying on the bed a police officer told The Sunday Times. On receiving information of the grisly find police rushed to the scene. The body was then handed over to the faculty of Forensic Medicine of the University of Colombo. Police described the deceased as being a loner. Though married he lived apart from his wife and child who were living with the wife’s parents. A neighbour Mr. Ananda Silva described the deceased as an alcoholic. “I met Sugath three months ago. I used to visit him occasionally, but only when I see his doors open. On the last occasion I met him, too, he was drunk. Inquiries into the cause of death are continuing. 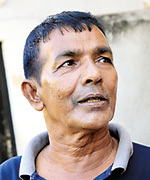 Meanwhile, a similar incident was reported from Paradise Apartment, Bambalapitiya, on Sunday (21.06), where the decaying body of Rusdu Hool (45) was found in his apartment by the police following a complaint by his neighbours who complained of an unbearable smell was emanating from the apartment. Police said that the body was found in a sitting position on the sofa with a bottle of liquor next to it.